"Does she love you better than I can?" 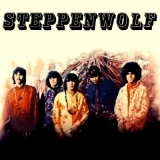 Steppenwolf (this album) (1968), Steppenwolf Gold (compilation) (1980), Early Steppenwolf (1969), 16 Greatest Hits (compilation) (1973), Born To Be Wild (compilation) (1992), The Best Of Steppenwolf (compilation) (1999). Showing latest 5 ratings for this track. | Show all 34 ratings for this track.